5:01pm EST - Our main, 300 slot server just wiped. Have fun! 4:45pm EST - The devblog just came out. Great stream everyone, thanks for tuning in! 12:40pm EST - It is Thursday, so you know what that means: Devblog time! Remember, it is an off week, so there is no update scheduled to launch today. 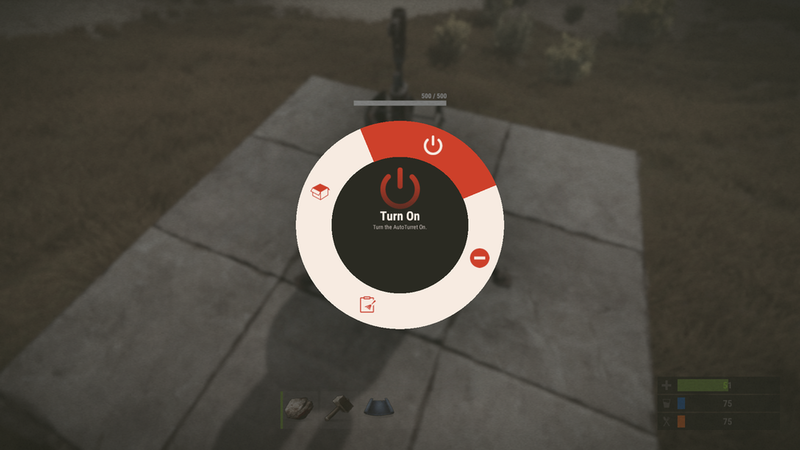 We’ll be doing an update preview stream starting at 3pm EST to show off rock throwing and the new auto turret. Follow Rustafied on twitch to know when we go live. 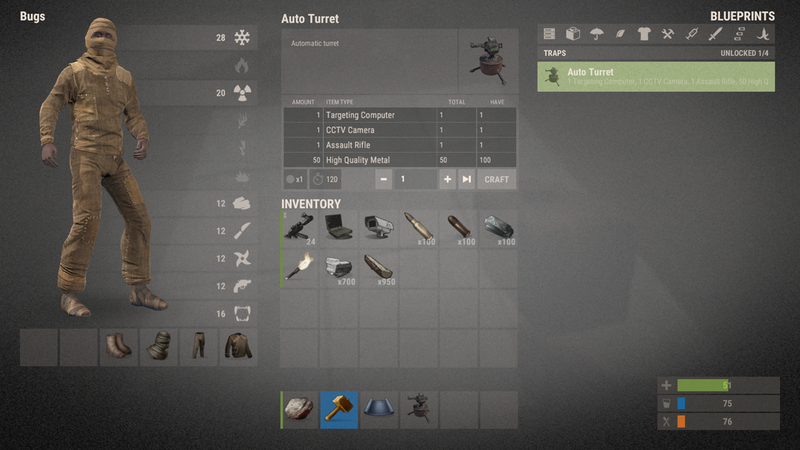 Auto turret is on dev! With 500 HP, the auto turret is susceptible to melee attacks and bullets. Dealing about 20 hp damage per swing, a hatchet will make short work of it. If you decide to go the bullet route, you’ll need about 45 rifle rounds to destroy it. And, much to the chagrin of turret owners, hammers do not currently repair health. Edit: Helk confirmed turrets will be repairable in the future. 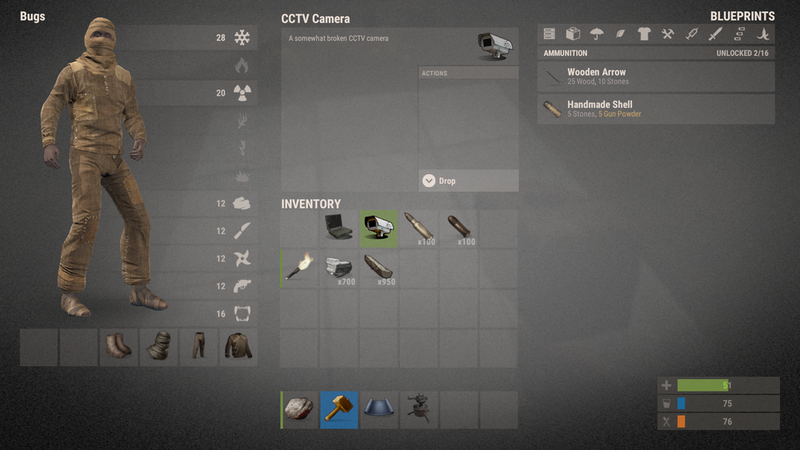 Given its main purpose is base defense, the auto turret can only placed on foundations and floors. Given the firing mechanism is an assault rifle, it makes sense the auto turret takes 5.56 ammo. With 6 slots available to place bullets, the total capacity is 384 rounds. As with all weapons, balance is key. The first iteration of the auto turret has a short range (20-30m) and a 180 degree firing radius. You won’t be able to place it down in a field and have it clear the landscape.